I recently mentioned that Sahelanthropus tchadiensis ‘Toumaï’ was quite clearly within the hominini biological tribe, i.e. in the line leading to us and not anymore in the one leading to chimpanzees and bonobos. 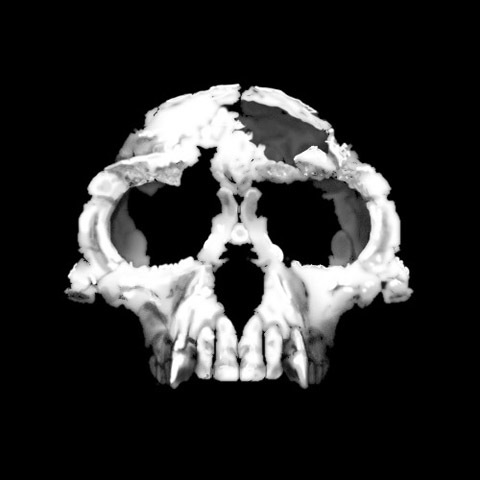 Now I have to echo the claim that a more recent being, Ardipithecus ramidus ‘Ardi’ also seems to have skull characteristics that place it in the hominin group. 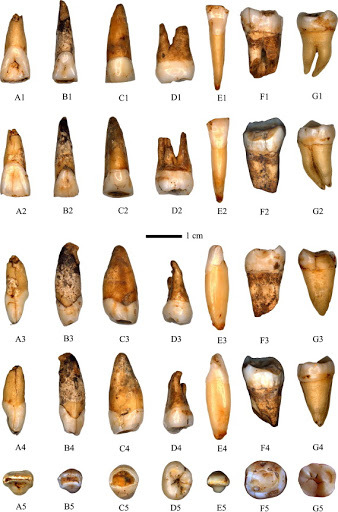 While the relevance of Toumaï’s grouping is much greater, because it help us to clarify the issue of Pan-Homo divergence dates, which seems to be of the order of c. 8-13 million years ago (Langergraber 2012), the case of Ardi is not without interest anyhow in the understanding of human evolution. By examining 79 skull bases of chimps, gorillas, modern humans and ancient hominids, Kimbel’s group identified relationships among anatomical landmarks that distinguish apes from people and hominids. The researchers estimated the total length of A. ramidus’ skull bottom and found that it fell within a range characteristic of hominids, not apes. As in more recent members of the Australopithecus genus, such as the 3.2-million-year-old partial skeleton nicknamed Lucy, Ardipithecus ramidus displays a relatively short, humanlike skull base, Kimbel said. A new 3-D analysis of Ardi’s previously reconstructed pelvis, also presented April 11 at the anthropology meeting, finds a mix of monkey, ape and hominid characteristics. Although not confirming a consistently upright gait, this version of Ardi’s hips doesn’t undermine her proposed hominid status, said Nicole Webb of City University of New York, who led the research. As for Ardi’s disputed mode of travel, she probably had a two-legged gait “but didn’t use her hands much while upright,” said Caley Orr of Midwestern University in Downers Grove, Ill., who didn’t participate in the new research. 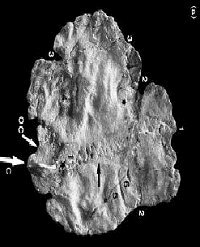 While Ardipithecus ramidus is dated to c. 4.4 Ma BP, there is another specimen of the same genus, Ardipithecus kadabba, dated to c. 5,7 Ma. W. Kimbel et al. 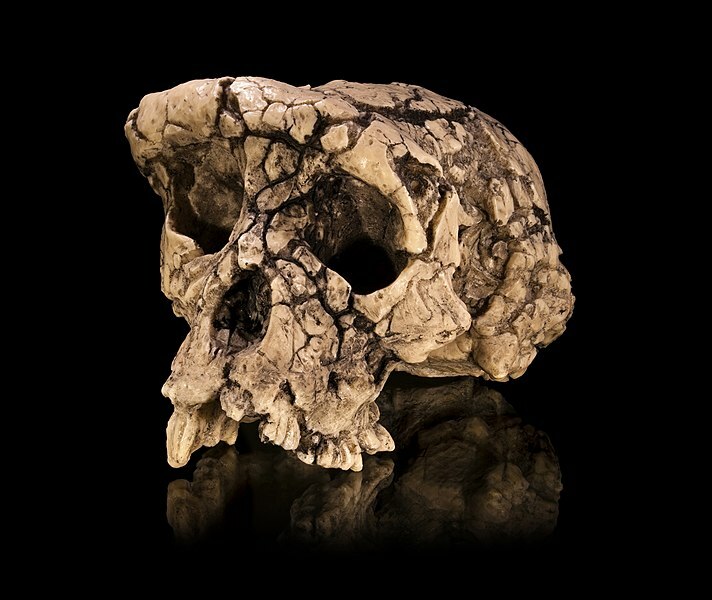 Ardipithecus ramidus and the evolution of the human cranial base. N. Webb et al. An analysis of the Ardipithecus ramidus pelvis reconstruction using 3D geometric morphometric techniques. 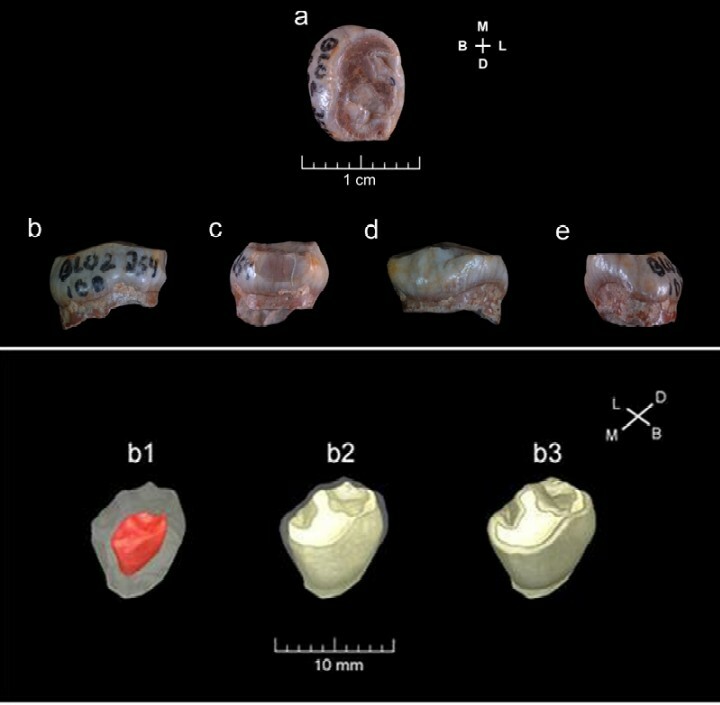 Other human-like traits in Toumaï are small canines and the forward position of its foramen magnum (where the backbone connects to the skull), which suggest upright walking, which is now argued to be related to brain reorganization. This clearly confirms, as I have insisted so much, that the Pan-Homo divergence date is necessarily older than 7 million years, because Toumaï was already closer to us than chimpanzees and bonobos, our closest living relatives. Sources: Scientific American, Terrae Antiquae[es] (via Pileta).